This is the MERV 11 replacement filter for the Model 1410 Aprilaire Air Cleaner. The filter is the heart of the air cleaner and needs to be changed once a year. 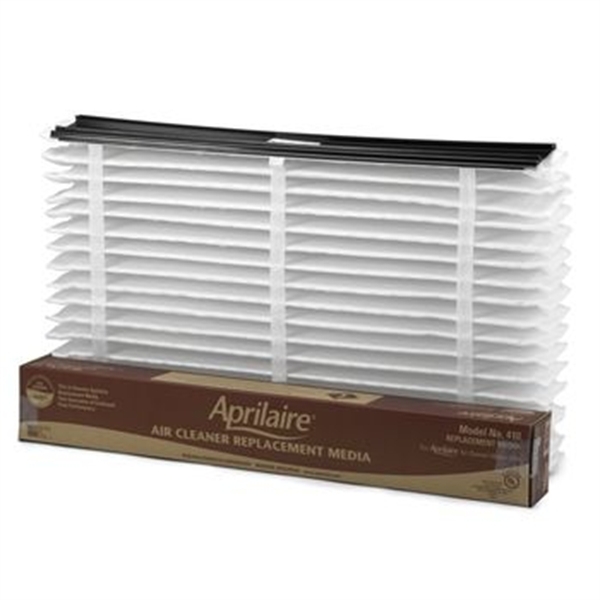 Use only genuine Aprilaire SelfSeal #410 to ensure the best performance of your air cleaner. © Calverley Heating and Cooling Inc.